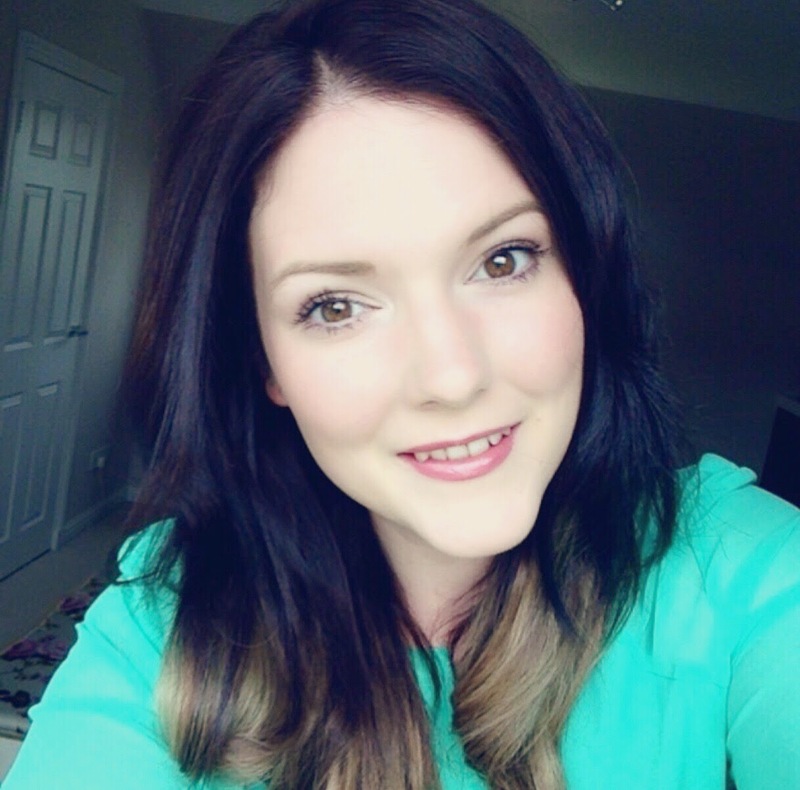 Lily Lolo were one of my favourite brands of last year and I'm really excited to try more of their products in 2014. This Smoky Rose eyeshadow quad was, without a doubt, my favourite Autumn/Winter eyeshadowand It has been with me everywhere. Was a staple go to in New York and saw me right through the party season. Whether you want to go for the subtle look or the wow factor this quad is for you. Each gorgeous shade oozes sophistication and are not too overpowering. The colours look deep but they aren't at all overwhelming on application. In fact, they are very build able so you can go as light or dark as you desire. White/Cream has the tiniest hint of shimmer and is also excellent to use as a highlighter. The lighter of the two dark shades I would describe as a truffle brown, it is beautiful. The dark brown is your perfect espresso. 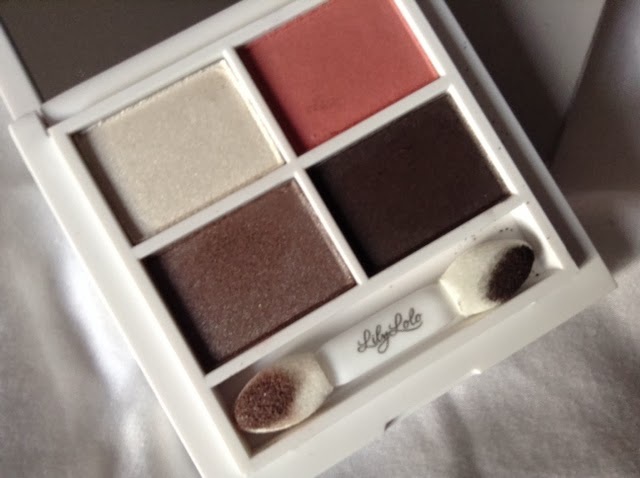 Another point I must add about this eyeshadow quad is that it has minimal residue which is ideal if you have cream carpets in you dressing area, no mess, no fuss. 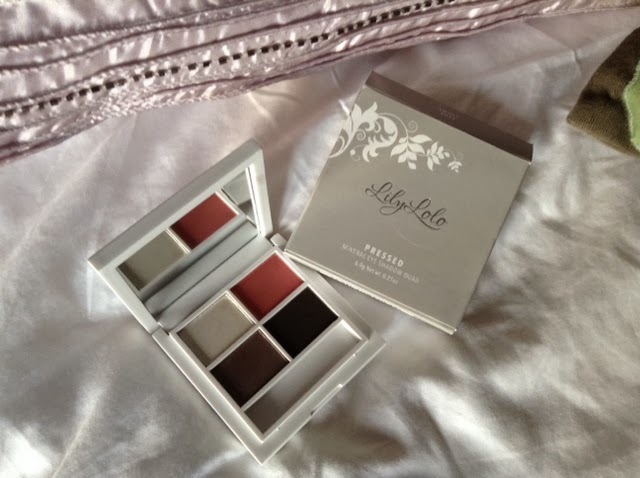 The Lily Lolo packaging is so elegant, I just love it. This compact comes with a decent sized mirror which is perfect for touch ups whilst on the go. What do you think of this quad? Do you have it yet or are you still a Lily Lolo Virgin? This is so beautiful!!!!!!! I want one! Looks like a great palette. 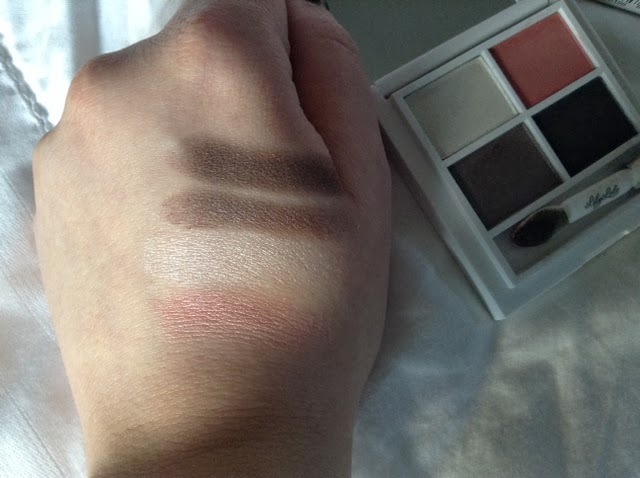 That is such a gorgeous palette, I love the rose coloured shadow, looks a bit like MAC Expensive Pink. Ah, you are totally right!! This looks lovely. I'm on their website now as they have a sale and this has just really tempted me haha!